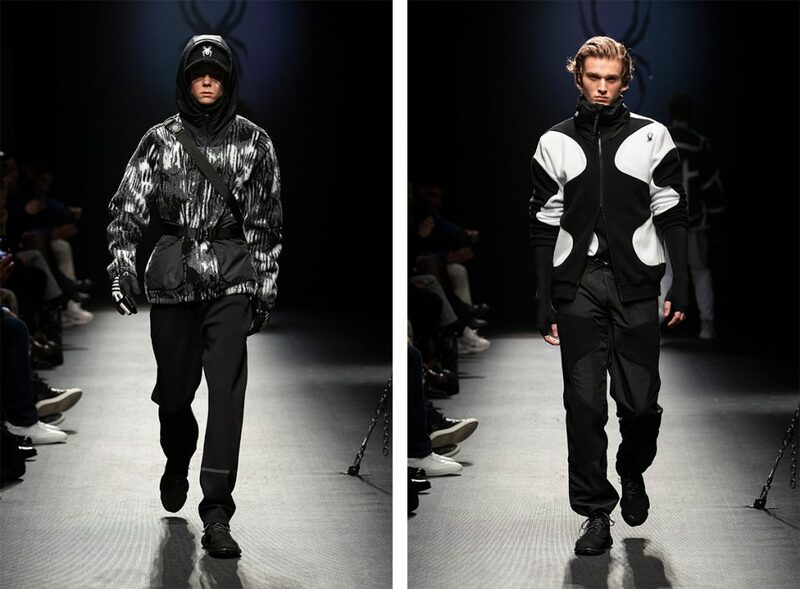 Performance and innovation meet high-end design at Spyder’s first runway show in Milan on Monday. For fall/winter 2019, the brand unveils a lineup meeting the needs of both sport enthusiasts and metropolitan trendsetters. Sleek constructions convey ultimate comfort and efficiency in the training lineup, where a range of fabrics with different textures are combined to obtain graphic and tactile effects highlighting the highly functional ergonomic cuts of performance T-shirts, leggings, hoodies, vests and windbreakers. Designed to be mixed and matched for a cool layered look, they are embellished with contrasting trimmings exalting the collection’s hip graphic appeal. Chameleon color gradation and reflective abstract prints give a distinctive, striking look to Spyder’s intriguing running outfits, worked in a nocturnal color palette of dark blue, asphalt gray and black tones refreshed with graphic white and bright red accents. Incorporating high-tech body mapping to check temperature before and after run, they guarantee an unparalleled athletic experience focused on an individualized training approach. High quality fabrics and the same attention to details define the lifestyle lineup, conceived by creative director Christopher Bevans. 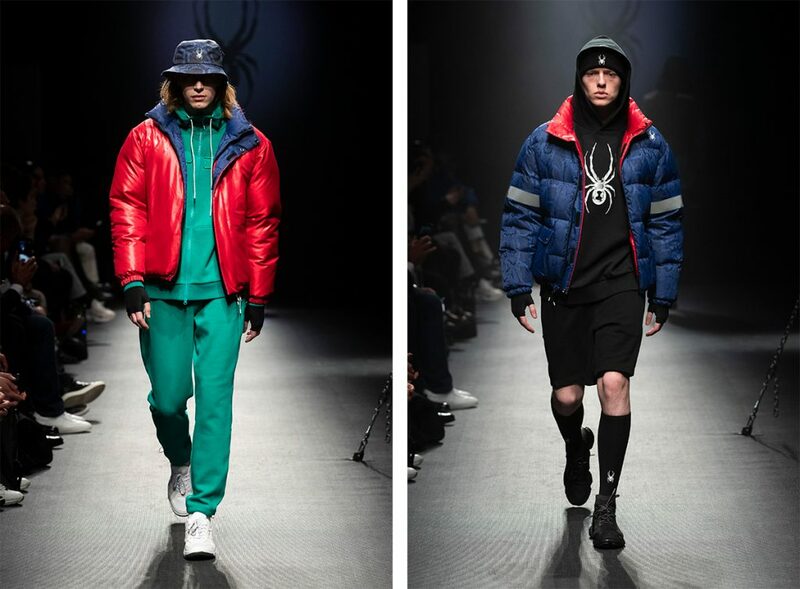 Taking inspiration from the colorful, creative and iconic look of urban youth tribes across England and the United States in the Nineties, he designed a range of tracksuits, fleece sweatshirts and oversized puffers embellished with bold color blocking and geometric patchworks. Their retro attitude, echoing the cheerful vibe of the legendary MTV generation, creates an intriguing contrast with the futuristic vibe of high-tech garments. 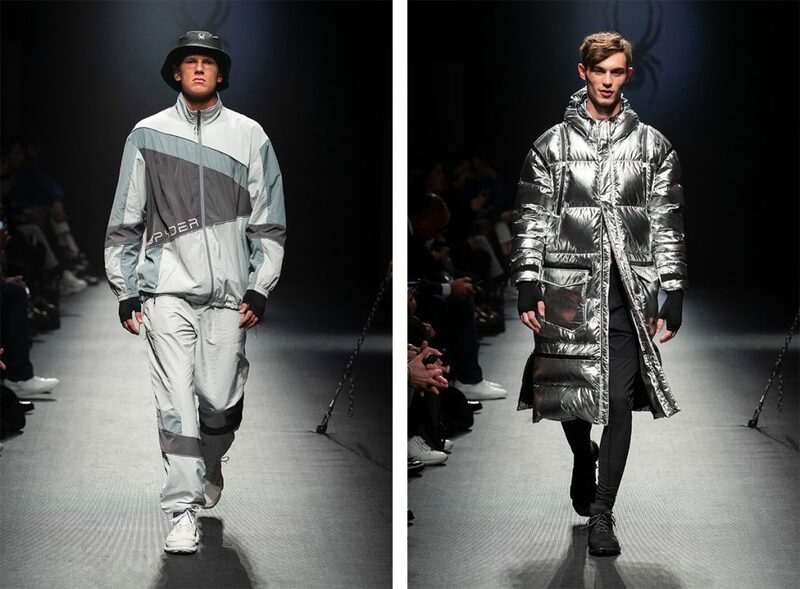 A juxtaposition of reflective and foil surfaces and geometric bold colored inserts and trimmings characterizes jackets, anoraks, pants and hoodies designed for forward-thinking urban explorers. The look is completed with functional accessories, developed by Peter Brunsberg, the founder and creative director of Berlin-based label Bagjack. The highly practical city styles, showing a minimal, high-tech design, include multi pocket crossbody bags, backpacks and fanny packs worked in graphic color combinations and embellished with decorative applications in the shape of the iconic Spyder logo.